Air power changed the face of war as we know it starting with WWI. Since then the world's superpowers have competed with each other to create the world's fastest and most maneuverable fighter jets to achieve air superiority over their enemies. While the United States has dominated in the development and production of fighters, Russia has never been that far behind. Development of the Su-30 may have began in communist Russia, but it wasn't officially put into service until 1996, years after the Soviet Union had been dissolved. 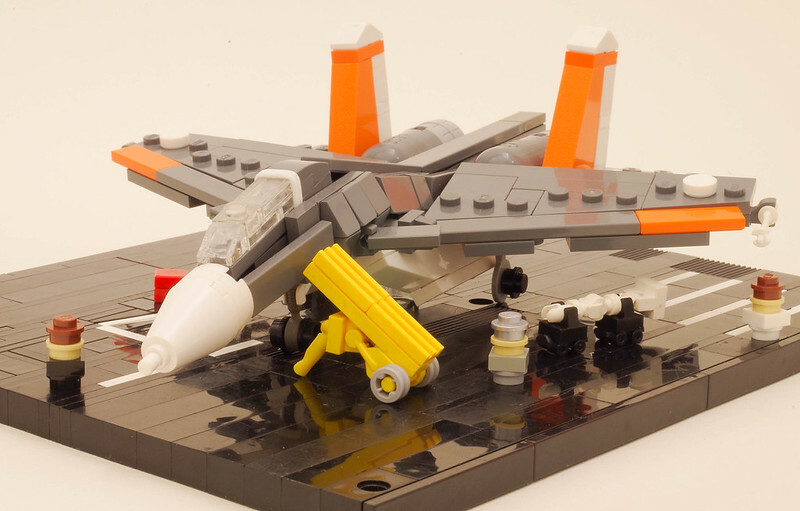 New builder Tino Poutiainen has treated us with a detailed microscale version of the Su-30. Let us all hope that this is just the first in a series of unique airplane builds from him.